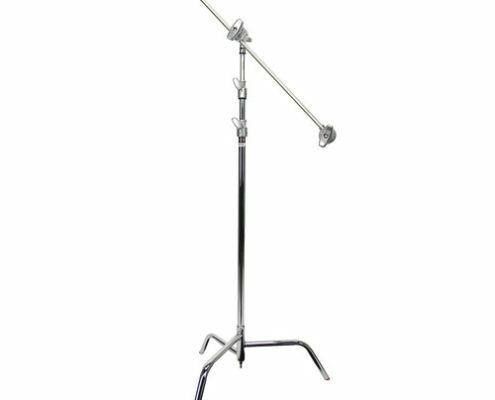 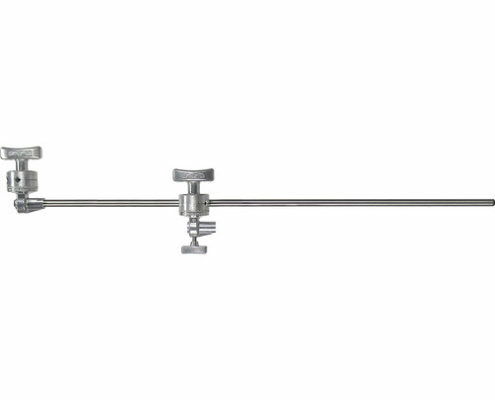 Matthews 40″ C-Stand Kit is comprised of a 10.5′ stand with a 40″ double riser and spring-loaded base that work to achieve a maximum height of 126″, or collapse down to a minimum height of 53″. A 40″ grip arm with attached 2.5″ grip head; and a 2.5″ removable grip head allow for multiple attachment options. 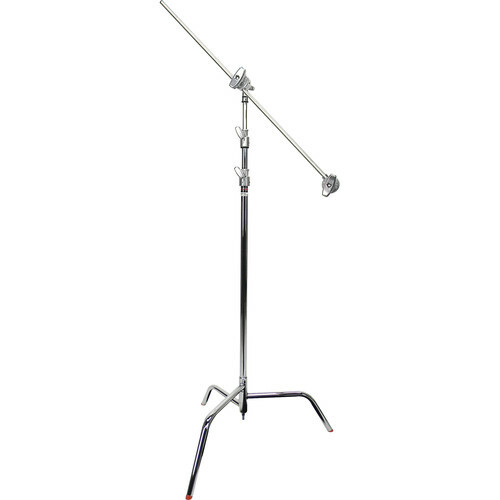 The unique staggered leg design of the C-Stand allows it to be nested and placed extremely close to one another on a set, and the included grip arm and grip heads offer an assured, non-slip hold with both 3/8″ and 5/8″ mounting holes.